A clogged toilet is your worst fear. You flush and pray that you don't have to grab the plunger. The gurgling sounds like it came straight up from the underworld. What on earth could be down that drain? A nightmare toilet is frustrating, to say the least, especially if you're the one always getting stuck with the plunging. Trying to fix the problem, you pour Drano down the toilet and nothing happens. You lift the tank lid and everything seems fine. So what could be wrong? Does the toilet need to be replaced? 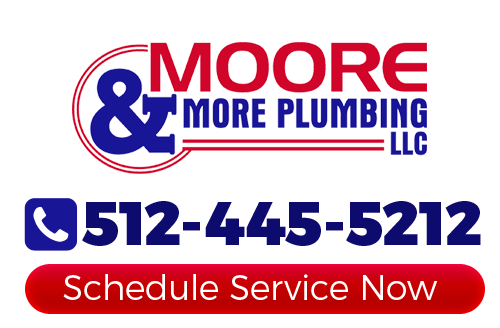 Stop pouring chemicals down your toilet and take a look at these FAQ from Moore & More Plumbing in Austin. 1. Why won't my toilet flush all the way? There is probably a part that isn't working right inside the toilet tank. Hopefully, it's something simple. If not, your plumber may need to replace some parts. Check the flapper and rubber flush valve gasket at the base of the tank as you flush the toilet. The flapper should rise and then slowly fall as the water level in the tank rises, sitting perfectly on top of the gasket. If it is misaligned, the water in the tank won't fill the toilet back up like it should. The toilet needs a tank full of water to flush all the way. Check the tank lever and the chains leading off it. The chains may get stuck around another part, not letting the flapper down all the way. The chain length may also be too tight or too loose, so adjust the length to see if it works better. Check the ball float. It rises up as the tank fills back up with water. It can get stuck at a low level. The float tells the fresh water inlet when the tank is full, so it will shut off the water supply if it gets stuck and the tank won't fill enough to give a good flush to the toilet. 2. Why is my toilet flushing slowly even though there's no clog? Check the parts mentioned above first. Clogged drains can happen way down the sewer pipe, so that could actually be the problem. Either some waste debris, a toy, or tree roots can cause sewer line clogs. If this is the case, other drains in the house nearby are moving slowly too. Get a plumber to clean the drain instead of putting caustic chemicals in there (see why below). 3. Why does the toilet gurgle when I flush it? Gurgling is a sign that air is going backward up through the toilet. It may be a blockage in the sewer line, in the toilet trap, or in the vent stack where sewer gases are allowed to escape. Since the vent stack opens up outside your home on the roof, things like bird nests and leaves can get stuck in there. 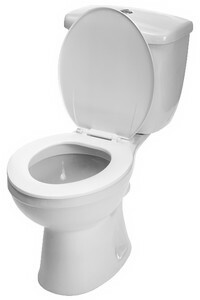 Worn toilet tank parts can also cause air backflow. 4. Do I need a new toilet? A toilet can last well beyond your lifetime. Other plumbing parts to the toilet or inside it will need to be replaced many times during the lifetime of the toilet itself. People often go ahead with a toilet replacement if they have an old toilet with no water saving feature. Pink, green, and blue toilets are often replaced to update the home. Unless your toilet has a hairline crack or is leaking water in the bathroom, you shouldn't have to replace it if you don't want to. 5. If I shouldn't use Drano, what's the best way to deal with a toilet clog? Tree roots and stuck plastic toys and other such objects will not respond to drain cleaners. Caustic chemicals can damage the sewer pipes and seals, so never use them. What you should use to remove toilet clogs is a good plunger using a proper technique. If that does not work, the drains probably need to be water jetted to get the tree roots or other material out. Purchase a bellows style plunger and insert it into the toilet, don't lift up but keep it seated firmly in the drain as you plunge. Also worth trying are the new piston type plungers that fit further down the drain of the toilet. If you need a plumber for a toilet that doesn't flush right in Austin or the surrounding areas, please call 512-445-5212 or complete our online request form.